This competition has now closed and the winner has been notified by email. Thank you to everyone that entered and if would like any information on the Deep South please complete our enquiry form. 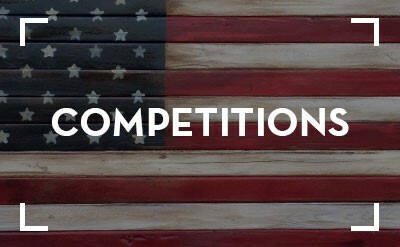 Deep South USA are working with ASDA to promote their Deep South whiskey and give you the chance to win a fantastic 9-night Deep South USA holiday. The southern US states are rich in music, history, heritage, culture, scenic highways and family fun set in a scene of natural beauty. Answer the following question and enter your details by June 15 2011 to be in with a chance of winning. 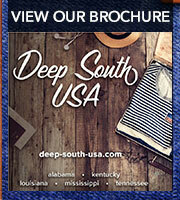 I do not want to receive Deep South information. Dolly was born and raised in Sevierville and got her start in the music industry downtown, singing live at the Cas Walker radio show. With her songs she has described the beauty and richness of Sevierville and America's most visited National Park the Great Smoky Mountains, and inspired many people to visit her "Smoky Mountain Home". These days, visitors to Sevierville usually make a stop outside City Hall at the bronze statue of a young Dolly perched atop a rock with guitar in hand for a one-of-a-kind photo opportunity before visiting her Dollywood theme park, just along the Parkway at Pigeon Forge. What is the name of America's most visited National Park? What is the name of the famous blues crossroads where legend has it Robert Johnson sold his soul to the devil? For a list of full terms and conditions click here.